theZoomer: Television For Boomers With Zip! Study: Exercising 4 to 5 Times a Week Could Keep Your Heart Young - theZoomer: Television For Boomers With Zip! It’s no secret that partaking in some form of exercise not only improves your current health, but could also have a sizeable impact on your long-term wellbeing. 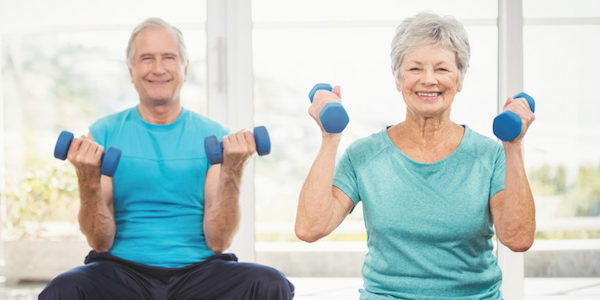 In a new study conducted by researchers at the Institute for Exercise and Environmental Medicine, Texas Health Presbyterian Hospital, Dallas and the University of Texas Southwestern Medical Center, it was discovered that exercising four to five days a week could stop the stiffening of one’s arteries, and thus keep a person’s heart younger and healthier. To help reach this conclusion, the researchers analyzed 102 individuals, aged 60+, who have regularly exercised throughout their lives. These people were divided into groups based on how many 30-minute exercise sessions they performed each week. The group break down went as follows: Sedentary (less than two sessions per week), Casual Exercisers (two to three sessions per week), Committed Exercisers (four to five sessions per week), and Masters Athletes (six to seven sessions per week). May 26 is CARP’s National Walking Day! 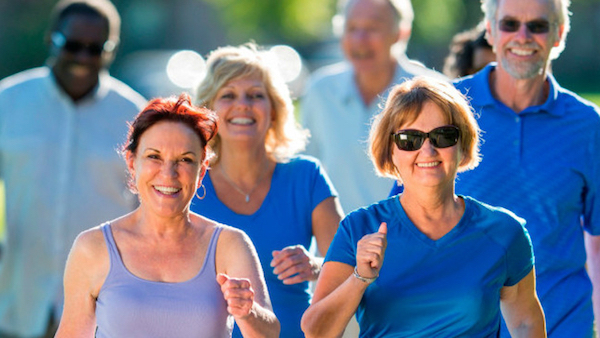 Click here to learn more about this event and why walking is such a pivotal physical activity for us all. People who exercise casually were found to have youthful middle-sized arteries. However, those who kept the body moving four to five times a week also had more youthful middle-sized arteries, as well as more youthful central arteries. Central arteries supply oxygenated blood to the chest and abdomen, while middle arteries supply it to the head and neck. “This work is really exciting because it enables us to develop exercise programmes to keep the heart youthful and even turn back time on older hearts and blood vessels,” commented one of the study’s authors, Benjamin Levine. On a recent episode of “theZoomer,” Marissa Semkiw was joined by health experts, and ardent walkers, to discuss Stand Up Straight and Move Your Buns to Preserve Your Mind. This CARP initiative is designed to encourage individuals to stay active, no matter their age, in order to maintain optimal health. You can watch the episode below.